In an attempt to boost its domestic manufacturing, India is planning to launch an aggressive 20 GW Solar Tender which is also the world’s largest solar tender. India has a huge potential for the solar market. The country receives around 300 sunny days a year that’s more than 80% of the total number of days in a year. In its new draft energy policy, NITI Aayog has projected 597-710 GW green energy capacity by 2040. The country is expected to witness aggressive bids in the energy sector. The 20 GW solar tender or the mega tender will not only help in further reducing solar tariffs but will also support the government’s Make in India policy. The country has been importing modules and other solar equipment largely from China because it’s cheaper. The MNRE has plans to award these contracts to developers with the lowest quotation. The projects are expected to be commissioned in phases. 20 GW of solar power contracts will be auctioned in India. “It is a great move. Bidding pipeline has gone dry for quite some time and this is very much welcome. This reinforces the government’s commitment to solar… I would also hope that issues related to land acquisition, electricity evacuation and PPAs are simultaneously addressed,” said Sanjay Aggarwal, managing director at Fortum India Pvt. Ltd.
“One needs to accept the new reality that with the current module prices and looking at their trend in coming months, it’s hard to imagine that tariffs would be sub-Rs3 per unit,” added Aggarwal. 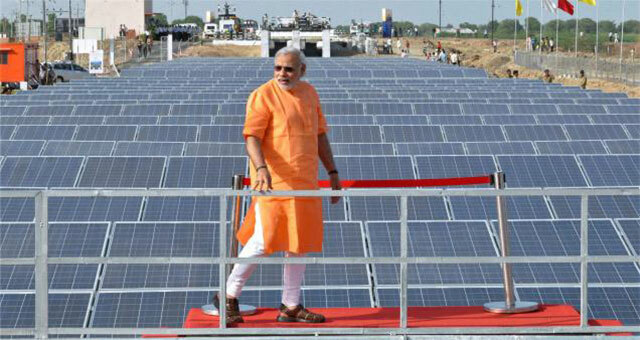 India has also set an ambitious plan to install 40 GW of rooftop solar by 2020. However, progress has been at a snail’s speed. It is imperative for the government to push rooftop solar if it wants its solar target to be met. In spite of lucrative policies and subsidies, rooftop solar failed to catch flare in India. As a part of its ongoing efforts, the Indian government is now planning a “rent a roof” policy to support its aggressive plan. As per this policy, the developer will take rooftops on rent and will offer it on lease to households. The extra power will be fed to the grid. India is thus about to witness some excitement in the energy sector. The huge tenders are big opportunities for the Indian solar manufacturing industry. It remains to be seen who will be the prospective participants in these auctions. The Indian solar companies need to tighten their seat belts and take heed because this could be a turning point for them. Why do you say that this tender may provide substantial benefit to domestic manufacturers? Is there some sort of local content requirement? Absent that, won’t it all go to Chinese modules? This paradigm shift ” Rent your roof ” has huge success in western countries. Huge sales-force is employed who do Door-to-Door marketing.